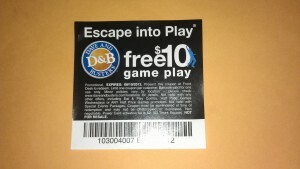 Free $10 Dave & Buster's Game Play and McDonald's Cherry Berry Chiller Coupons | A Savings WOW! 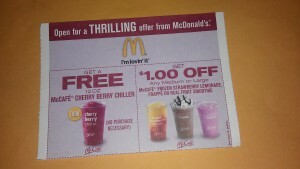 We love using these coupons for a frugal way to have a snack or entertain our kids! Don’t forget that you can get the Sunday Chicago Tribune for only $1 at Chicago-area Menards and Dollar Tree stores. You can also save money with a newspaper subscription. Find more coupons in our coupon database! Thx for the heads up!